Thousands of mourners, including scores of fellow firefighters, arrived in Downtown Long Beach this morning to remember slain Long Beach Fire Capt. David Rosa, who was shot to death last week while responding to a blaze. At the memorial service, which began around 10 a.m. at the Long Beach Convention Center, Rosa’s family remembered the shock of learning he’d been killed. More than 100 firefighters from surrounding cities filled in at Long Beach fire stations to enable Rosa’s colleagues to attend the funeral. A procession began about an hour before the ceremony, and included a line of helicopters that flew over as Rosa’s casket was brought into the building. Rosa grew up in Long Beach and spent 17 years in the fire department. His loved ones on Monday remembered him as a compassionate Good Samaritan who prioritized his faith and his family. A 77-year-old man has been charged with murdering Rosa after setting off a bomb at a Long Beach senior-living home. Long Beach is live-streaming the memorial. Follow along with the Long Beach Post’s coverage, which will be continually updated on this page. We will also provide updates on our Twitter, Facebook and Instagram. 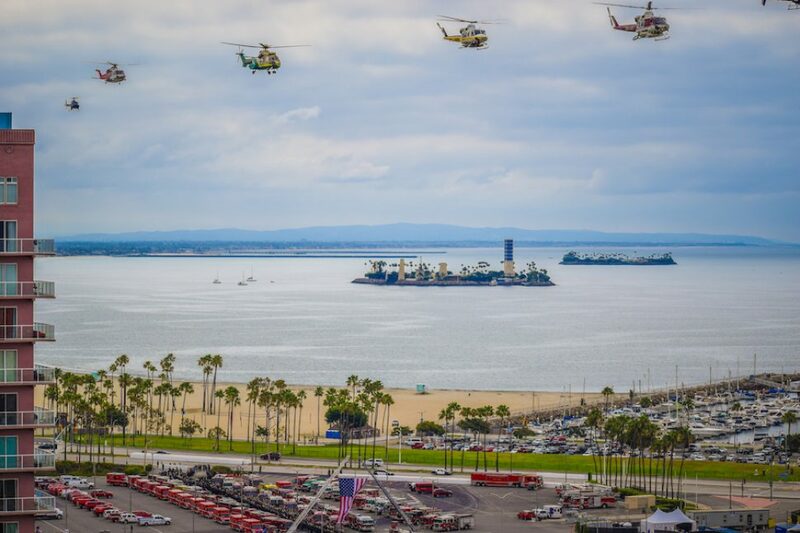 At least 66 fire engines from across the continent have arrived in Long Beach for Capt. David Rosa’s funeral, LBFD spokesman Brian Fisk told reporters early this morning. Fire crews have come from as far away as Vancouver, Vermont and the city of Long Beach in Florida, he said. Fisk and dozens of other members of the LBFD have been scrambling for a week to arrange the memorial service. “This is the largest event we’ve ever had to do in such a short amount of time,” he said. 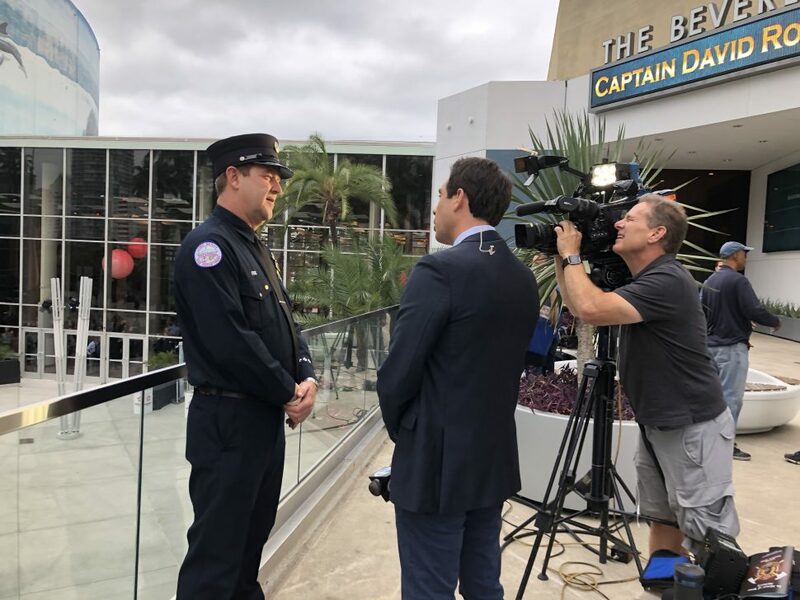 There’s a close bond they’ve developed with the LBFD because of the number of emergency patients they bring to the hospital. 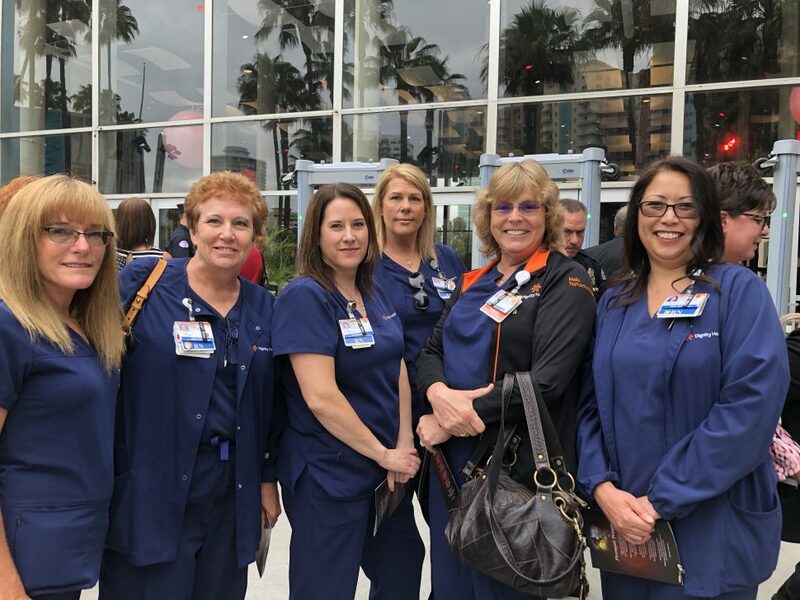 “People don’t usually think of us as first-responders, but we’re the first line they come to,” nurse Kelly Arroyo said. Dr. Neel Shah said he was at St. Mary when Rosa was brought in last week. “It’s one of the last things you want to hear on the radio,” he said. The tragic outcome has stuck with hospital staff, according to Dr. Sameer Mistry. “It’s easy to detach when you don’t know them, but we knew him,” he said. Steve Booth, a retired Orange County Sheriff’s Department sergeant, and Henry, a crisis comfort dog, arrived at Capt. David Rosa’s funeral in Long Beach this morning to give whatever help they could to other first-responders. Booth said he and Henry will come in after traumatic events and try to ease the pain of those affected, especially firefighters and law enforcement. ”You get some of these hardened guys that just go nuts over (Henry),” Booth said. 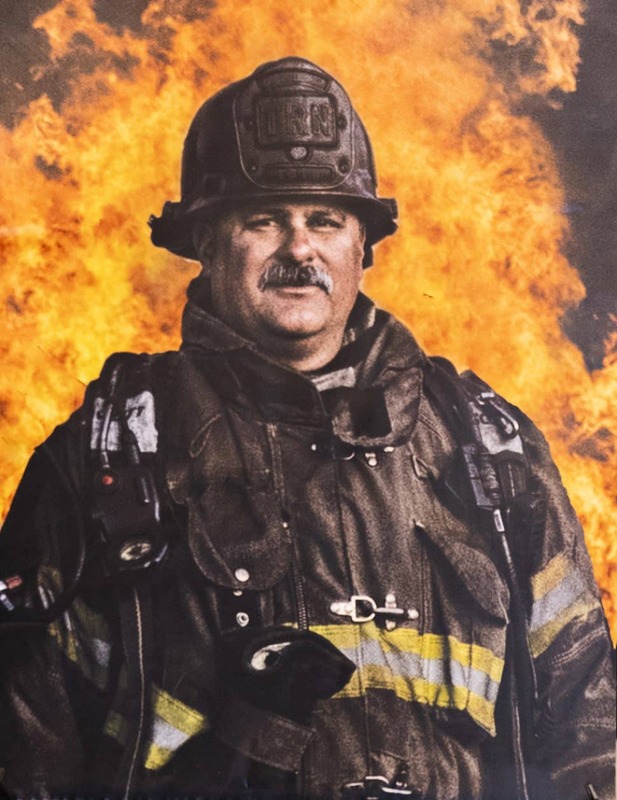 Training for the unexpected at places like Home Depot has helped Henry navigate unfamiliar environments like a massive funeral, according to Booth. Henry’s presence gets people to open up, Booth said. Recently, the pair helped 25 different firefighters talk through events after the Montecito mudslides hit their fire station. “It was pretty emotional,” Booth said. In their leather vests with patches and flames, a group of bikers stood out among the crowd of dress blues. 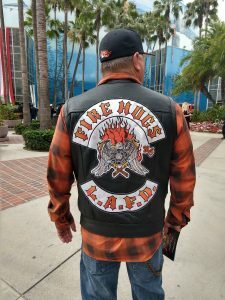 “This is our uniform,” said Jack Wise, president of the Los Angeles chapter of “Fire Hogs,” a motorcycle club filled with current and retired firefighters. They were invited by the organizers of the memorial to honor Capt. David Rosa in their own way. Wise and his group of Fire Hogs stood at attention in a line with their bikes early on in the procession, he said. While Wise didn’t know Rosa personally, he still felt the loss.